It’s a very common occurrence. You’re sitting at a red light, waiting for it to change, when a distracted motorist suddenly bumps into your car. A classic rear-ender, these types of accidents happen all the time, and often require little more than minor car repairs. You think it’s no big deal. You exchange information with the other driver, and go your separate ways. Though you don’t realize at the time, the impact has put a lot of strain on your neck muscles. You feel relatively fine in the hours that follow, but the next morning, you wake up with a serious cramp in your neck that just won’t go away. You may find yourself asking, “What should I do if my neck hurts after a car accident?” Learn the best way to protect your rights from experienced Los Angeles car accident attorneys at Ellis Law. A strained neck injury, often called “whiplash,” can be hard to treat, and may affect your quality of life for many months to come. 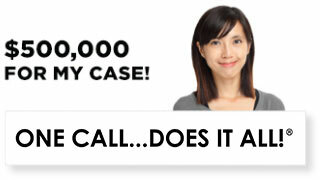 Insurance companies are hesitant to pay out funds to cover injuries that weren’t apparent at the time of the accident. Of course, in this situation, your pain and suffering are the direct result of another driver’s negligence, and you have every right to seek damages. Schedule a 100% free and confidential consultation with a personal injury lawyer from Ellis Law today, and explain the exact nature of your accident. We can guide you to a trusted physician who can properly assess your medical condition. The liable driver’s insurance company may be more than happy to cover the cost of replacing your bumper, but if you want to get them to pay for ongoing medical care, you’ll most likely need an attorney of your own. Hiring an attorney can be expensive, and not everyone has the money to afford one out of pocket. 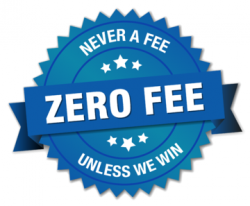 Lawyers from Ellis Law get paid by contingency fees, which means our payment is contingent on you winning your case or agreeing to a settlement. We don’t see a dime unless you win compensation. 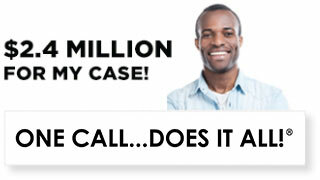 Don’t let a lack of funds keep you from getting the top-notch legal representation you need to win your case. We are committed to making the process as comfortable and easy for you as possible, and we have a reputation for treating every client like a star VIP. 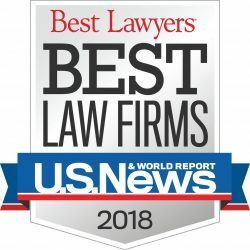 In your hour of need, go with a firm that U.S. News and World Report has named the #1 personal injury law firm in the Los Angeles area. When your health, happiness and financial future are on the line, you deserve to work with the very best. 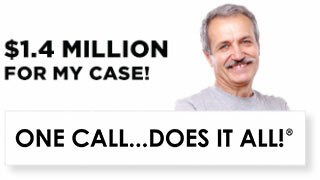 Over the last 20 years, Ellis Law has won over $350 million in damages for the good folk of Southern California. That money has been used to cover numerous medical bills, make up for thousands of missed days at work, and helped many people get their lives back together after a serious accident. If you’ve been hurt due to another driver’s negligence, even in your injuries were not apparent at the scene of the crash, you may be entitled to cash compensation as well. Every case is different, which is why it’s important to consult with a personal injury attorney from Ellis Law right away, and explain the details of your accident. Don’t be stuck paying medical bill after medical bill while you struggle with an injury that makes it difficult to work and enjoy life. When your bills are paid, you’ll have the time you need to rest and properly recover. Most people drive to get around the L.A. region, and thus, there are plenty of car accidents. However, personal injury law covers a number of different situations that happen all the time. Businesses have a responsibility to keep stores safe for the public. Slip and falls caused by wet floors, insufficient lighting, or broken handrails could lead to a lawsuit. Construction sites can be dangerous for workers and people passing by. If you’ve been hurt at a construction site, it’s worth scheduling a free consultation to see what your options are. Meet with a Los Angeles personal injury lawyer from Ellis Law today.